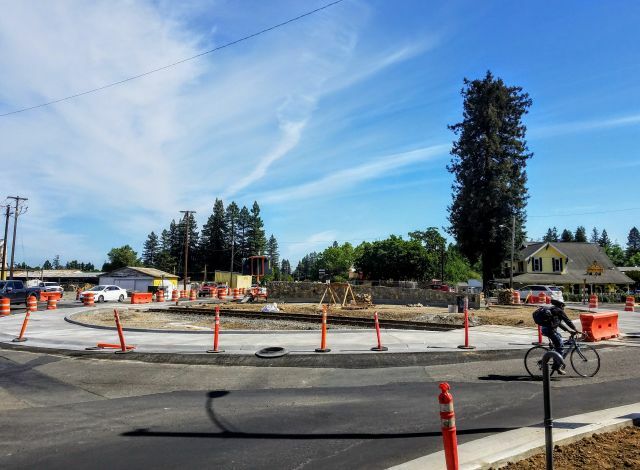 This week, the contractor demolished the old sidewalk on the east side of Healdsburg Avenue (between the Rockpile Vineyards tasting room and Twisst), then formed and poured the new sidewalk. The contractor is also putting the final touches on the truck apron within the roundabout – the truck apron makes it easier for large trucks to safely navigate the circle. Next week, a sub-contractor will start installing an irrigation system and applying topsoil to landscaped areas. 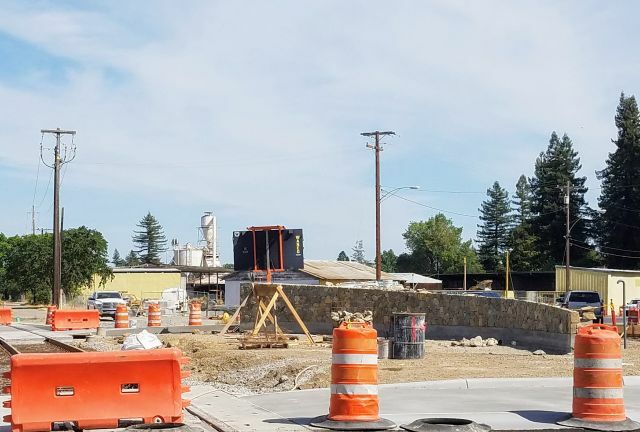 And here’s a photo that more clearly shows the progress of the stone wall being built in the center of the roundabout.